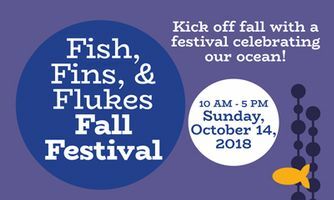 Kick off fall with a festival celebrating our ocean! Fish, Fins, and Flukes Fall Festival is a one-of-a-kind community event for all ages. Guests will explore our marine lab’s Science Showcase featuring unique science artifacts, our skull collection, and a whale of a skeleton (or two!). Family crafts, El Buen Taco food truck, and live music from The Singing Scientist complete the day. A special thank you to Long Marine Lab research groups! Science Showcase 12 – 3 PM Check out unique science artifacts never before seen by the public! Students and scientists from the Long Marine Laboratory will showcase interesting props, specimens, or scientific instruments representing their research. The Singing Scientist and The Earth Rangers 3 – 4:30 PM Join Dr. Peter Weiss, “The Singing Scientist,” and his rockin’ band, “The Earth Rangers,” for some danceable environmental education music. They sing about wildlife, plastic pollution, blue whales, cookin’ with a solar oven, and much more. Dr. Pete, also known as a UCSC chemistry instructor, plays music that is danceable, engaging, and catchy. The Earth Rangers, with Gail Swain and Ron Goodman on vocals, Jerry Paul on bass, and Jeff Arlt on percussion, are a bunch of pros, and together with Dr. Pete, they will get the Seymour Center rockin’!